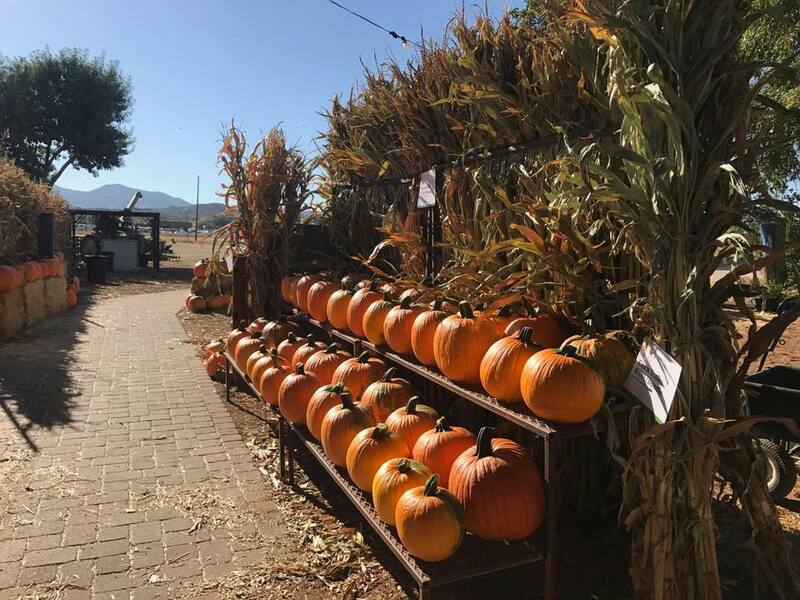 These pumpkin patches and fall harvest festivals take place at real farms that are outside Greater Phoenix, but might make a great day trip for the family. They are probably between two and three hours away, depending on where you live and how fast you drive. What a great way to get into the Halloween spirit! Old-fashioned family fun picking your own pumpkins, fall vegetables and apples (at the orchard). Pumpkins of all sizes, shapes and colors will be available for picking in the pumpkin patch. We-pick pumpkins available. There's also a Corn Maze, hayride, pancake breakfast. Take a tractor-drawn wagon ride into the field to pick your own pumpkin; the Corn Maze will challenge the adventuresome. Typidal activities may include wagon rides through pumpkin fields, corn mazes, inflatable obstacle course, jumping castle, pedal carts, petting zoo, zombie paintball, mechanical bull, beer garden. Some activities have an extra charge. Terror In The Corn (Haunted Cornfield) is intended for teens and adults. Buckelew Farm is about 30 minutes southwest of downtown Tucson. See photos of of the Pumpkin Festival at Buckelew Farm. The train ride from Williams Depot to the pumpkin patch as well as one pumpkin per child are included in the ticket price. Admission includes wagon ride to the Pumpkin Patch, access to corn mazes, access to Straw Mountain and the Kids Zone, as well as other activities that usually include Petting Zoo, Pumpkin Train Ride, and other rides. A 15-acre Pumpkin Patch and 25-acre Corn Maze. Fun for the whole family typically includes “A-MAIZE-ing” attractions, games, farm activities, live entertainment, barn dance. Younger guests will enjoy Farm Animal Petting Zoo, Buckaroo Pony, Farm Slide, Corn Bath, Straw Maze, Barrel Train. The whole family will enjoy the Antique Tractor Show & Pull, hay rides, pig races and dog races, live music and entertainment, barn dance, craft vendors, and farm food available to purchase. See photos taken at the Pumpkin Festival at Mortimer Family Farms. Find Festivals, Pumpkins, Haunted Houses, Special Events, Costumes -- Everything You Need for Halloween in Phoenix.